Every year, 2 million American workers get hurt badly at their place of work. Most of those injured can’t go back to work and still need continuous medical attention, which is costly to both the business and the workers. In some cases, a company has to invest more of its money and time to hire and train new employees. While accidents in the workplace are common, most are preventable. Every employer has a legal responsibility to protect their employees. On the other hand, every worker needs to be alert, cautious, and always maintain safety practices. Both employees and employers have a responsibility to stay alert to the potential causes of accidents. Health and safety is the responsibility of everyone in an organization. This may seem tough, but for employers the payoffs are huge: increased productivity of workers, increased bottom line, and greater consumer confidence. Posting safety guidelines is one of the easiest ways to keep your workers safe and aware of safety practices. Post the safety guidelines on your company’s walls and boards. Make them visible and easy to read. 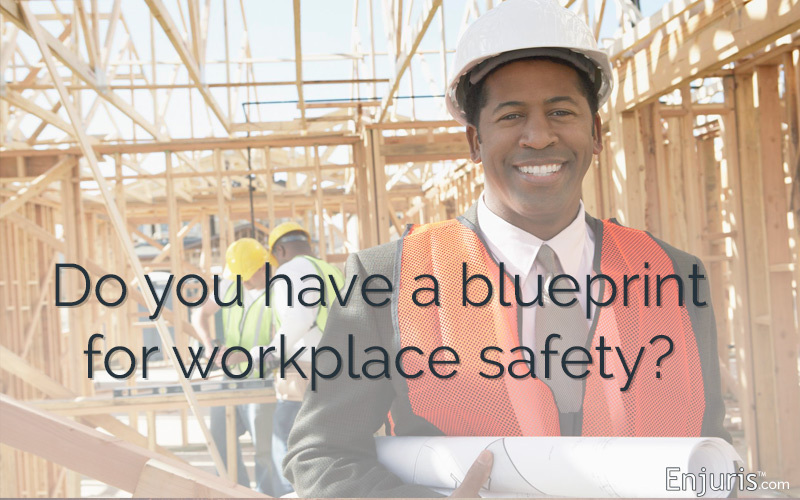 You should also set a safety program that every employee can follow (including you). Providing your employees with proper personal protective equipment (PPE) helps to reduce accidents. Equipment such as protective eyewear, safety gloves, and secured shelving units are essential. The equipment makes it easy for employees to handle bulky and heavy loads and reduces their chances of getting injured. A tidy and well-organized working environment will rarely produce accidents. On the other hand, a messy environment is unsafe for you and your employees. For example, unattended water spillage can result in a slip and fall accident. Similarly, if your shelves aren’t well secured, they may fall on your employees, resulting in serious injuries such as broken bones or head trauma. Ensuring your workplace is organized and clean all the times can go a long way in preventing accidents. Sometimes, shortcuts can be lifesavers, especially on a tight deadline. However, they can also be dangerous and result in a serious injury. Don’t allow your employees to use shortcuts when it comes to safety. Instead, it’s better they follow the safety guidelines and instructions to do the job right. If they cannot finish a specific job before the day ends, allow them to complete the job the next day. A person’s health and safety is always more important than missing a deadline. Emergency drills are an important tool for ensuring the safety of your staff. Safety drills help employees to learn how to handle emergencies without confusion and uncertainties. For example, in case of a fire, your employees should know how to move in an orderly fashion towards the nearest fire exits. Ensure everybody participates and pays attention to the drills (you included). Workplace hazards can crop up at any time. While sometimes they may be unavoidable, you can take steps now to protect your employees, yourself and your business from such tragedies. You must ensure safety measures is a priority in your organization so that you and your employees can enjoy good health, job productivity, and satisfaction. What other things should employers do to ensure the safety of their employees? What are common ways that you’ve seen employers disregard worker safety? James Hughes is a freelance HR consultant and writer. After working for several high profile businesses, he now supports businesses through difficult times as an independent consultant. James is currently writing for Effective Software, with a focus on improving health and safety as a catalyst for internal change.